If you own a tracked vehicle then you need TrackBack recovery and safety device in your toolbox. 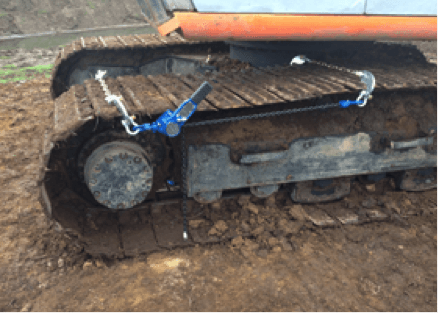 This multifunction device puts tracks back on tracked vehicles and can be used as an emergency traction device. TrackBack is like the spare tyre for your car. TrackBack offers peace of mind while you work. If you lose a track this simple to attach device gives you an instant solution with immediate recovery. 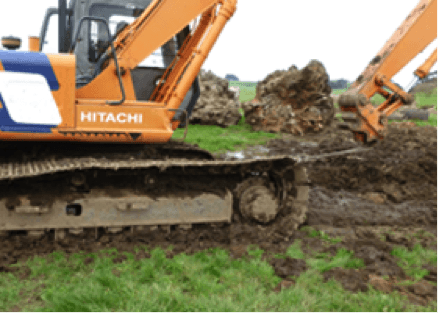 TrackBack can be fitted on site with no drilling or welding required. 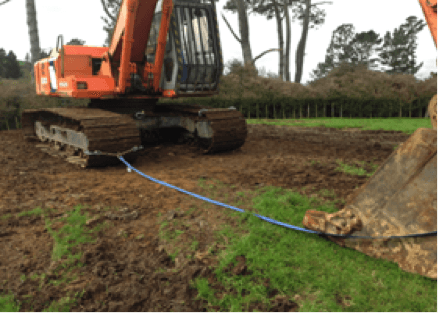 Every operator should have TrackBack on hand for improved safety and productivity. Get back on track with TrackBack. When fitting TrackBacks ensure chain between the TrackBacks is tight. 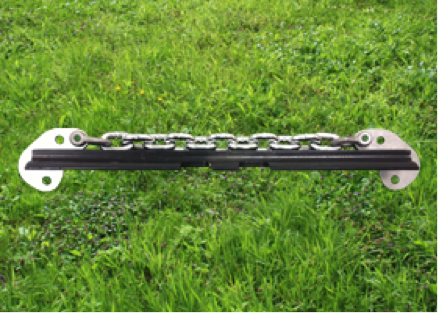 If required can adjust chain by rotating half a turn or more. Fit a pair of track backs to each side of the join then fit a chain block to the bottom holes and pull together. 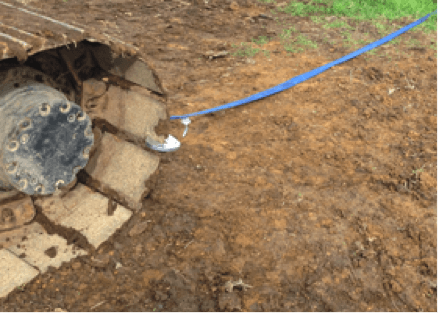 To use as a winch, chains/cables can be fitted to the centre of the TrackBacks on one or both tracks. After anchoring the chains drive yourself forward. 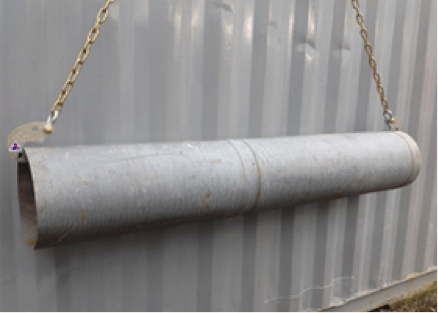 Secure chains around post to the bottom hole of each TrackBack with the post facing forward. Caution: Must remove post before doing a full revolution. Use a chain/cable between TrackBacks for temporary traction. 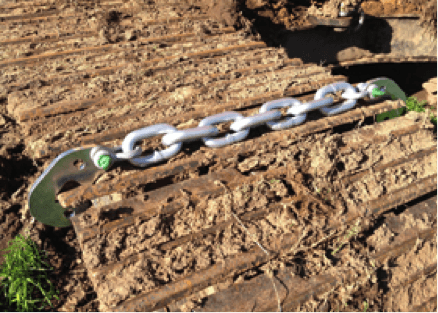 Fit large chains or links between TrackBacks. 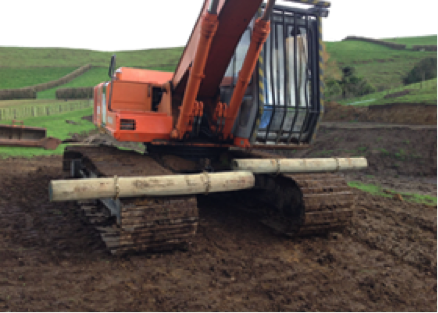 Use TrackBacks to lift steel pipes into place e.g at a crossing. Caution: Safe work practices are recommended. Fix chain/cable to the TrackBacks. Anchor one end of chain/cable to an anchor point, then lift track and rotate until tensioned.